A bill demanding insurers reimburse auto body shops for any repairs done per OEM “procedures, recommendations, or service bulletins” has been filed in New Hampshire and was sent to a subcommittee Tuesday. House Bill 664 follows a Nov. 1, 2018, report by a committee tasked by 2018’s House Bill 1663 to study collision repair reimbursements and present findings to state leaders. One of the committee’s members, state Rep. Kermit Williams, D-Wilton, sponsored the new HB 664, as did a mix of other senators and representatives. 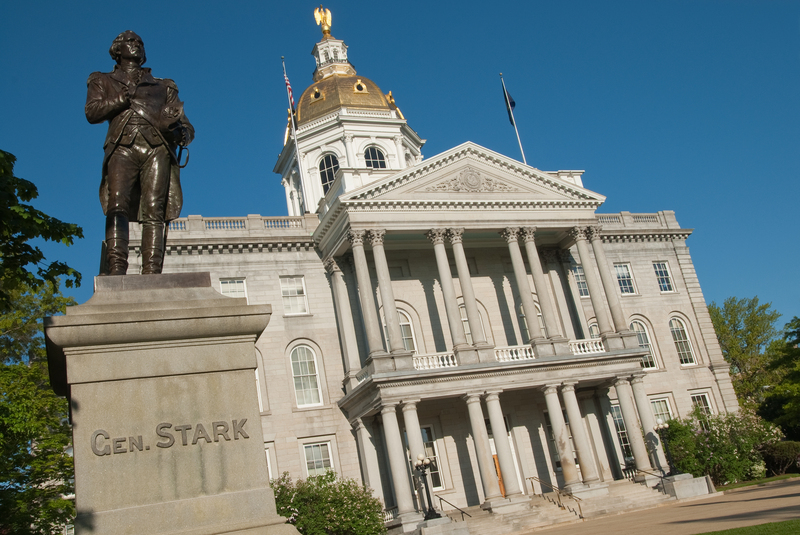 The new bill would add a powerful sentence to New Hampshire statutes: “An insurer shall reimburse a repairer for all repairs if a repairer follows original equipment manufacturer recommended collision repair procedures, recommendations, or service bulletins while repairing a vehicle. ” The law would kick in 60 days after passage. A legislative record indicates HB 664 was heard Tuesday by the House Commerce and Consumer Affairs Committee, which Williams serves on as vice chairman, and referred to a subcommittee slated to examine it Feb. 6 at 9:30 a.m. According to a fiscal note, the state Insurance Department anticipates bill enactment would mean numerous complaints from body shops complaining insurers aren’t following the law — a view which arguably says more about insurers than it does about collision repairers. The 2018 reimbursement committee report stated that collision repairers have been able to file complaints with the agency for about the past two years. HB 664 seems to go in a different direction than the issues discussed before a Senate Committee ahead of HB 1663’s passage and by the subsequent reimbursement committee. 1. Insurers often reimburse only at a direct repair facility’s labor rate which independent shops claim is artificially low. Independent repair shop owners are unable to negotiate for what they consider to be a fair labor rate, especially for mechanical work. Shop owners are forced to either refuse the work or agree to work at a loss. These two points were raised before the Senate Commerce Committee on March 27, 2018, too during the discussion of 2018’s HB 1663. If an independent repair shop or facility and an insurer are unable to agree on a price, then for the purposes of this section, “fair and reasonable price” shall mean the average price available from at least three but no more than five recognized, competent and conveniently located, independent repair shops or facilities which do not have a contractual relationship with any insurer and which are able to repair the damaged automobile within a reasonable time. Every insurance carrier offering insurance in the state of New Hampshire shall reimburse New Hampshire businesses capable of conducting mechanical repairs covered by such insurance in the amount equal to that which is normally and reasonably charged by the mechanical repairer for like service and repairs rendered to retail consumers who are not using insurance coverage for such repair. Mechanical repairs shall be defined by industry utilized repair estimate database providers. This last sentence could make for a messy situation on mechanical not-included operations not classified at all by information providers, or times when which a shop would wish to switch a particular operation to mechanical labor manually. Would a shop be barred from declaring these operations mechanical? The reimbursement committee also apparently spent time looking at aftermarket parts, based on the Nov. 1 report. “Independent repair shop owners are frustrated by their sense that insurance companies dictate how, and with which parts, a vehicle is to be repaired,” the report states. “They report that after market parts are not always of like kind and quality. For example, they may not fit in the vehicle without being forced or the bolt holes may not line up with holes in the vehicle frame. Any alteration to the part to make it fit compromises the integrity of the part. “3. At times insurers require the use of inferior after market parts for a covered repair. This compromises the safety of the vehicle and can be a contributing factor in a second accident, leading to further damages, potential physical harm to people and necessitating further repairs at more expense. 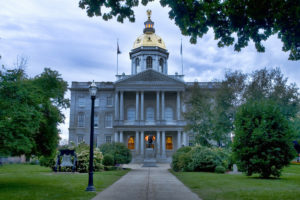 “Insurance carrier representatives stressed that the current motor vehicle insurance market is competitive in New Hampshire and cautioned against adopting legislation that would place upward pressure on premiums,” the committee wrote. 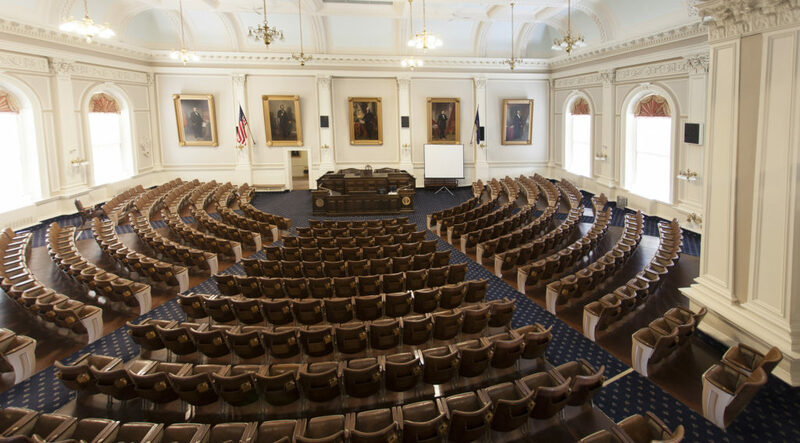 Based on the new bill and the committee’s report suggesting even more legislation, it looks like it should be an interesting session this year in New Hampshire. Stay tuned.